The current business processes related to web development are evolutionary, driving a cutting edge business environment. Software-as-a-Service is increasingly becoming more prevalent as a delivery model and the various underlying technologies that support web development like Service-oriented architecture and Ajax are becoming more popular. Additionally, big data processes and cloud solutions are the current trendsetters in web development, driving perfective maintenance which enhances site performance and interface usability. SimbirSoft offers a better understanding of IT with a firm belief that IT transforms the life of the business and the whole mankind for the better. 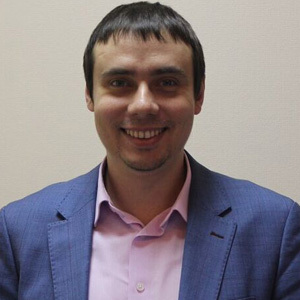 “Developing multiple technological defections, we are able to solve complex business tasks from highload cloud server to rich web and mobile applications and integrations,” states Ilya Kashtankin, Director, SimbirSoft. The firm builds B2B custom web development solutions and deals with the integration with existing infrastructure and software. “We make our web application work with payment systems like PayPal, Google Checkout, and integrate with internal BI and financial account systems, warehouse and document workflow management systems,” states Mr. Kashtankin. With continuous growth, the firm pays special attention to support and develop employee efficiency. The company has invented its own approach for expert knowledge exchange as well as educational processes. “Among the recent workmanships is the creation of quick operating front-end frameworks which are aimed at complex and huge interfaces such as gantt diagrams, dashboards, and graphs,” says Ilya. MakeTalents is one of the extensive product set that SimbirSoft offers to its clients. “Citing an instance of SimbirSoft’s prowess, one of our clients had a desktop B2B healthcare product which automated clinics business processes,” affirms Mr. Kashtankin. SimbirSoft experts analyzed that the customer can get much more benefits by delivering their services by means of cloud based web application. As a successful IT company, SimbirSoft invests heavily on innovation of tools, products, and approaches. To stay ahead of the market competition, SimbirSoft maintains high industry standards. “We stick to Capability Maturity Model Integration- Development (CMMI-DEV) principles, supported by our independent quality service departments, as we tend to build long term relationship for existing and future customers,” says Ilya. For instance, one of their clients had a web docflow and project portfolio management system that faced rival competition from desktop alike solutions with high performance which was not achievable on web. “With our front-end framework, we managed to create the impressive features working as fast as at desktop operating unlimited data,” says Ilya. This became the key competitive advantage for the client allowing them to increase their sales tenfold and expand their business from U.S. to Europe. Moving ahead, SimbirSoft plans to expand its positions in existing markets providing custom software development services. Their key advantages bring special value regardless of the competition or any other market scenario. “Serving the U.S. market is our primary goal for the next four years. We see amongst our clients, multinational IT companies which require internet technology services to succeed in their business needs,” affirms Mr. Kashtankin.